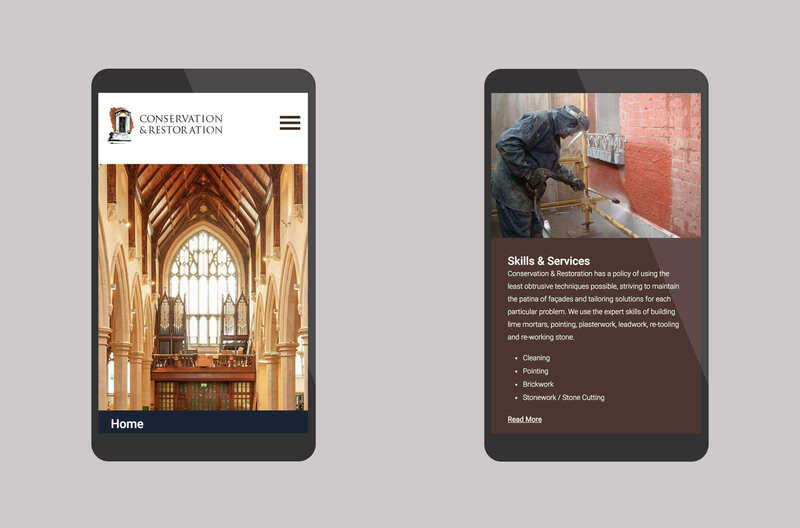 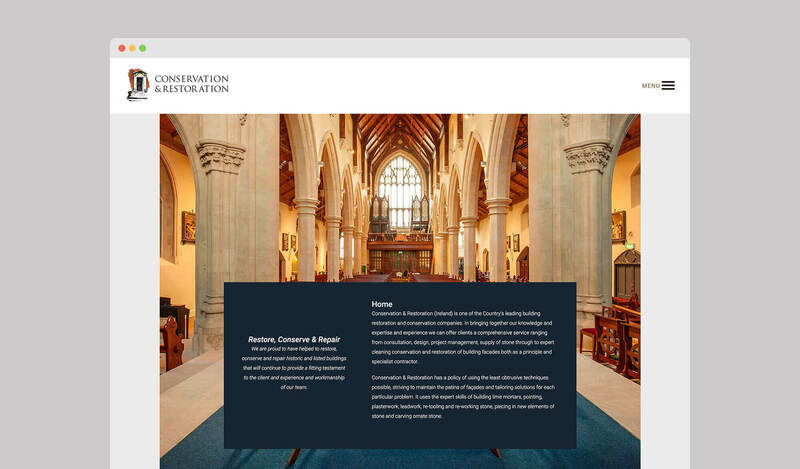 Conservation & Restoration needed a new website to showcase their exceptional craftmanship. 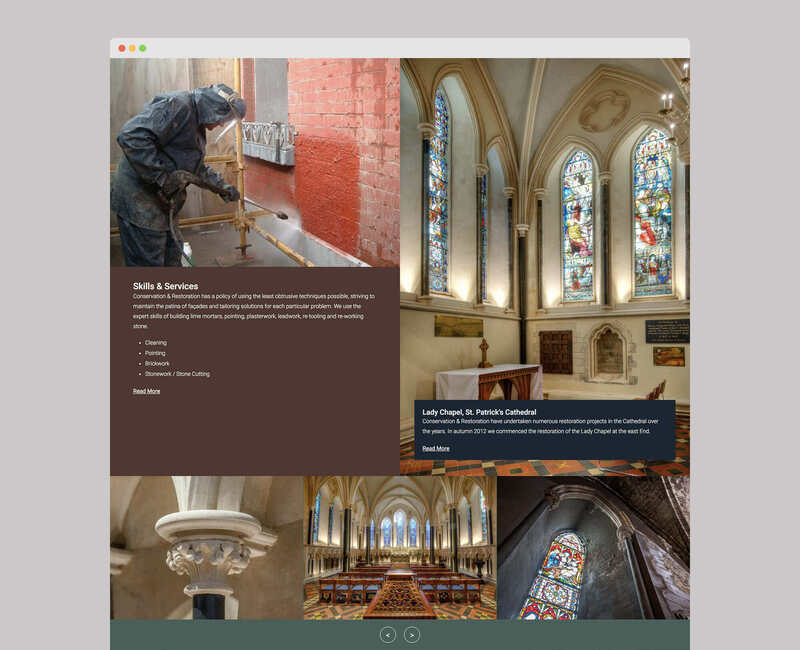 This was done by using large photographs of their work throughout the site. 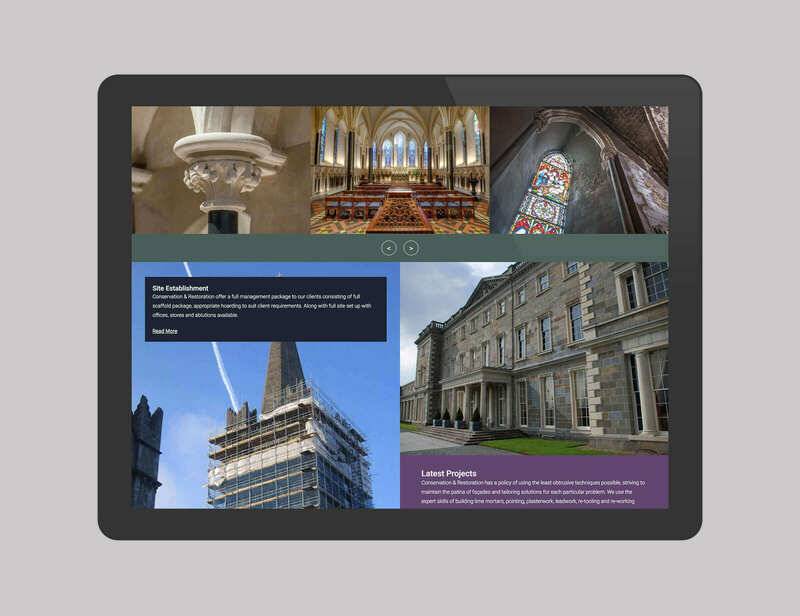 These are then complimented by a projects section that can be easily updated with their latest jobs using a custom built content management system.